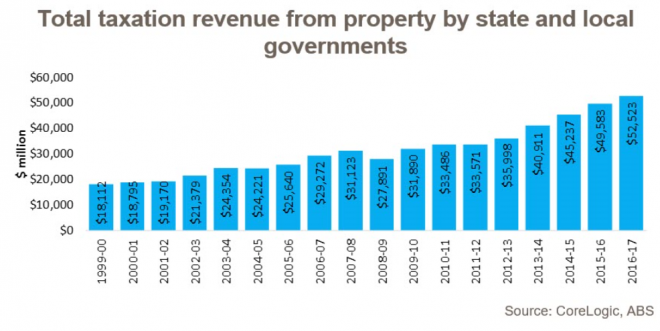 Over the 2016-17 financial year, state and local governments collected $52.5 billion in taxes from property with the figure climbing by 5.9% over the year. 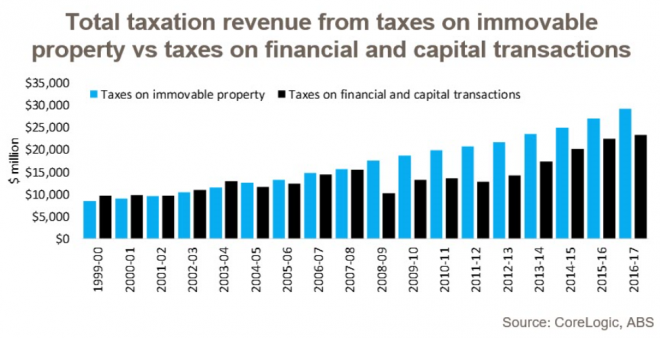 The taxation take from property is now more than double what it was in 2005-06. 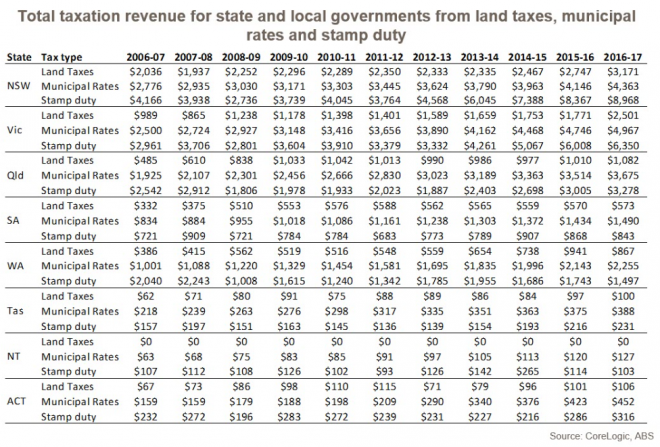 Property taxes accounted for an historic high 52.8% of all tax revenue for state and local governments, up from 51.9% over the previous year. 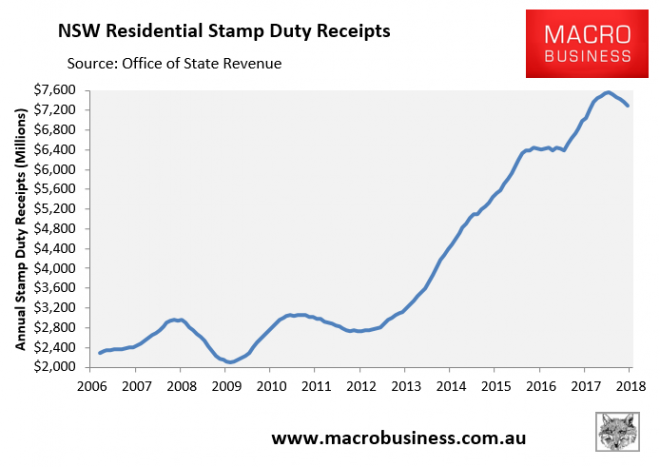 As noted by CoreLogic, both the NSW and VIC State Government’s have made out like bandits from stamp duty over the past 11 years. 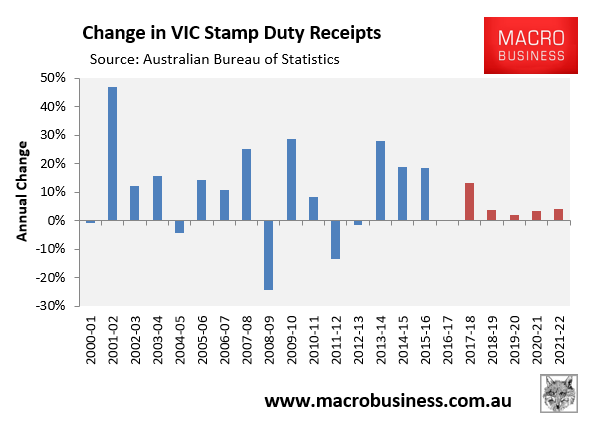 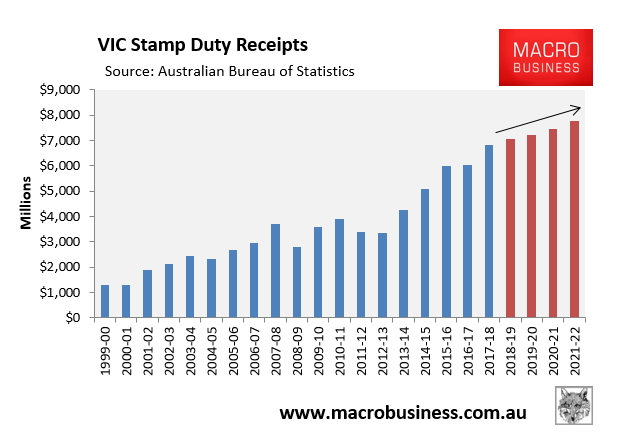 For example, stamp duty receipts fell by 24% in 2008-09 and by 15% in 2011-12 in VIC off only minor corrections in the housing market. 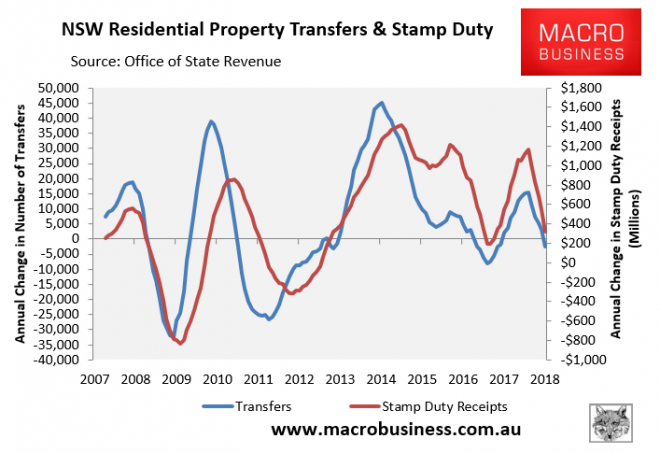 Given the monumental size and duration of this boom, the hangover as the housing market corrects could be painful and drain potentially billions from both the NSW and VIC Government’s coffers.